The research, conducted by folks at the global professional services company Towers Watson, underscores that this level of savings, of course, can only be realized if all U.S. companies' employees and their dependents ditch face-to-face physician and urgent care visits, swapping them for telemedicine interactions when available. Realistically, that's a lofty goal for even the most tech-savvy companies, but analysts say even a much lower level of telehealth adoption could signify hundreds of millions of dollars in savings, still. "Achieving this savings requires a shift in patient and physician mindsets, health plan willingness to integrate and reimburse such services and regulatory support in all states," Allan Khoury, MD, senior consultant at Towers Watson, said in a statement. This shift is occurring, but at what rate? After surveying some 420 midsize to large U.S. companies, 37 percent of employers said by next year they anticipate offering employees telehealth services as a low-cost alternative to face-to-face visits for nonemergency health issues. Some 34 percent indicate it will be longer before they get onboard with telehealth, citing a two- or three-year time frame. 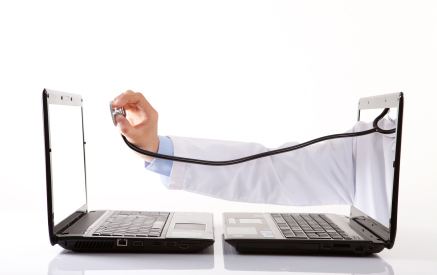 Of employers surveyed, 22 percent currently offer telehealth alternatives, officials noted. But just because employers offer telehealth services doesn't mean employees are actually using the technology, Khoury added. On the contrary, only 10 percent of members who have the services available actually utilize the services. "With both insurance companies and employers encouraging its use, telemedicine is going to have a growing role in the spectrum of healthcare service delivery," said Khoury. "We're also likely to see that it's just the tip of the iceberg." This tip of the iceberg for the telehealth market has seen a 237 percent growth within a five-year period, according to a recent Kalorama industry report. Already, the telemedicine patient monitoring market grew from $4.2 billion in 2007 to more than $10 billion in 2012.